WorldClassRoom FAQs - What is my password? Your WorldClassRoom password is the same as your Office365 password. Your Technology account must be fully activated in order for you to access WorldClassRoom. If you are a student: As a new student to Webster University, you should have received an email prompting you to set up your Office365 account shortly after your initial registration for courses. If you did not receive an email, or you need assistance logging into Office365 or the Connections Portal, please contact the IT Service Desk. 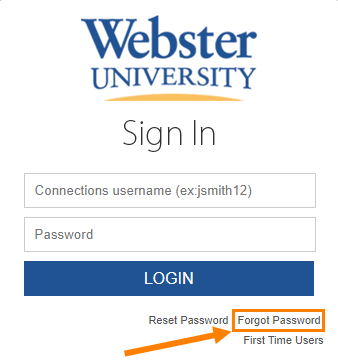 If you are faculty or staff: Your Office365 account should have been created when you were hired at Webster University. If you need assistance, please contact the IT Service Desk. 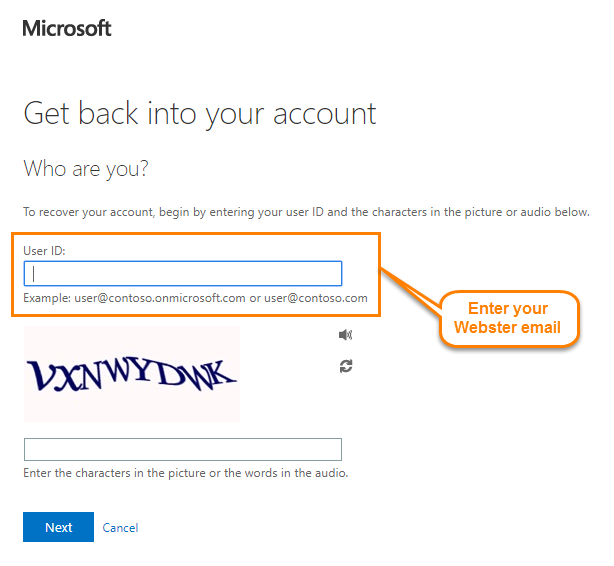 If you know your Office 365 password and wish to change it, please see the tutorial titled How do I change my password? If you have forgotten your Office 365 password, you may be able to reset it yourself following these steps. On the Connections login screen, just below the box where you enter your login information, click the Forgot Password link. You will then need to do the verification step and will be able to reset your password. If you need assistance, please contact the IT Service Desk at (866) 435-7270, (314) 968-5995, or support@webster.edu. How do I change my password for WorldClassRoom? Where can I log in to WorldClassRoom? How do I view my final grades? How do I access Canvas Commons?